Picture driving around Texas in a compact SUV that can save you money on fuel and is a joy to drive. 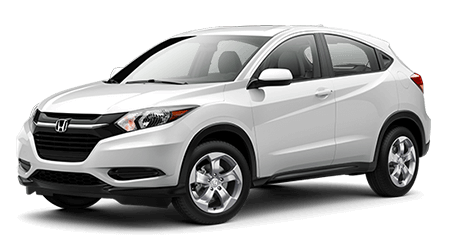 At Freeman Honda in Dallas, TX, we’re delighted to have the 2016 Honda HR-V for drivers to explore. Our dealership has served Irving, Richardson, and Mesquite, TX for a number of years as the state’s top-rated Honda dealership. Visit Freeman Honda at 39680 IH 20 East and discover the all-new HR-V today. The 2016 Honda HR-V is an all-new vehicle. The compact SUV features the same frame as the Honda Fit, which gives the SUV a compact size. With its small size, the HR-V sits in between the Fit and Honda CR-V. With the vehicle’s compact size, fuel-efficient powertrain and affordable price tag, it’s able to fit into a variety of driving lifestyles. As a compact SUV, the new HR-V has a punchy engine that can save you money on fuel. The HR-V is equipped with a 1.8L inline-four that makes 141 hp and 127 lb-ft of torque. The engine is matched to a six-speed manual transmission as standard or an optional CVT. When properly equipped, the HR-V can achieve 28/35 mpg (city/hwy). If you’re searching for a compact SUV that can tackle all of your driving needs and save you money on gas, then check out the 2016 Honda HR-V. At Freeman Honda in Dallas, TX, we have an amazing selection of new Hondas for Arlington, Grand Prairie, and Garland, TX drivers and will teach you all about the fantastic new HR-V crossover. Stop by our dealership at 39680 IH 20 East and test drive the new HR-V today.